I have been absolutely obsessed with photography lately! 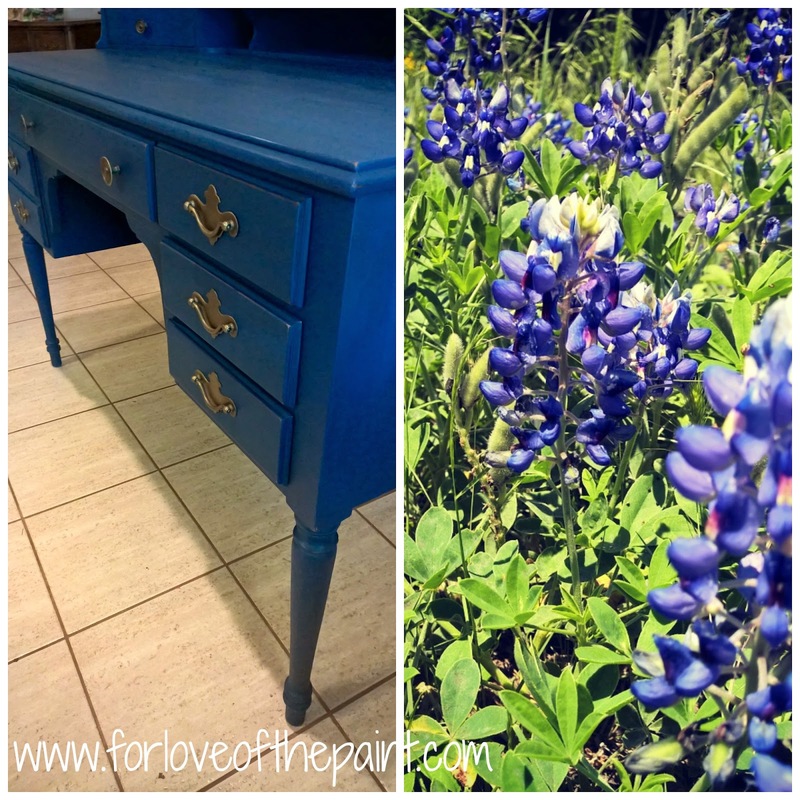 (Shameless plug - follow me on Instagram @forloveofthepaint to share my art and inspiration). So I decided to capture some of my inspirations and put them side-by-side with the before and after series for you to enjoy! 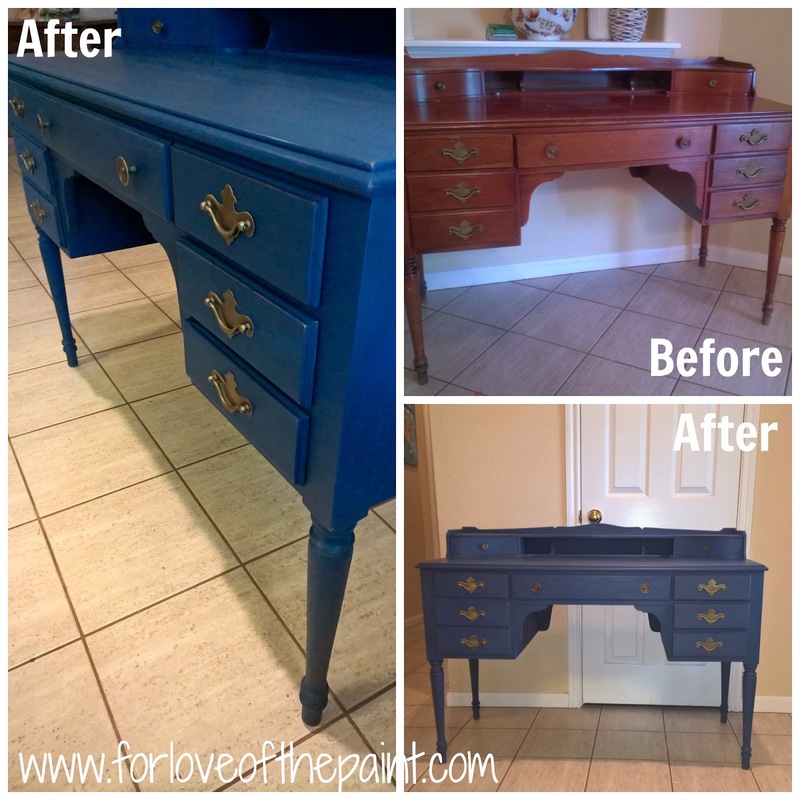 The first is a gorgeous desk redo in Annie Sloan Chalk Paint - Napoleonic Blue. For those of you who don't know, I am trying to use a new color every month this year, and pretty sure I'm on track with # 5 here! I did a very light distressing on the paint, then clear and dark waxes. I'm super excited about the gorgeous blue! And here's the Color Story: Inspiration behind it... Bluebonnets! Can't love a Texas spring without the requisite bluebonnet photo :) There is literally nothing quite like that rolling field of blue. What do you think? Love it? I'll be putting together more color stories in the coming weeks. I look forward to sharing them with you! !